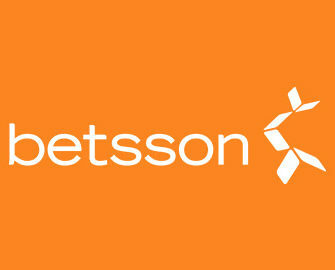 Betsson – The Daily Pick / Week 44! Enjoy daily Free Spins, Cashback or Bonuses! The Claw Machine at Betsson never fails to deliver great rewards and offers to its loyal players, and that especially in this Halloween week. They can look forward to tournaments with guaranteed winnings, wager rewards, Free Spins on deposit or a 100% cashback on selected games. Log-in today to start your gaming week with 60 Free Spins Blood Suckers II on as a wager reward. Monday, 30th October 2017: Vampiric Free Spins – Wager minimum €50 on any slot to instantly receive 60 Free Spins on Blood Suckers 2. Spins must be played before midnight. Wagering requirement is 25x Free Spin winnings within one day. Tuesday, 31st October 2017: 5,000 Explosive Free Spins – Wager minimum €10 on Esqueleto Explosivo to get an equal share of the prize pool. Free Spins will be credited by 18:00 CET on Thursday. Wagering requirement is 25x Free Spin winnings within one day. Wednesday, 1st November 2017: Monstrous Bonus – Wager minimum €20 on Monster Smash to instantly receive a €10 bonus. WR is 25x bonus within five days. Thursday, 2nd November 2017: Sweet Free Spins – Deposit €25 to instantly receive 50 Free Spins on Fairytale Legends: Hansel and Gretel™. Wagering requirement is 25x Free Spin winnings within one day. 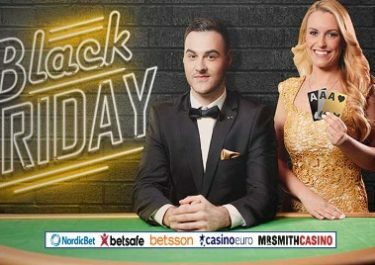 Friday, 3rd November 2017: Face Medusa – Get a 100% cashback bonus on net losses when playing Medusa II, up to €50. Cashback is credited by 10:00CET on Tuesday with a 5x WR. Saturday, 4th November 2017: Emotional Free Spins – Wager minimum €50 on any slot to instantly receive 60 Free Spins on Emoji Planet™. Spins must be played before midnight. Wagering requirement is 25x Free Spin winnings within one day. Sunday, 5th November 2017: Circus Raffle – Wager minimum €50 on Wicked Circus to be entered into the €5,000 raffle where 100 players will win bonus prizes from €25 – €500, credited by 18:00 CET on Monday. Wagering requirement is 25x bonus amount within five days.